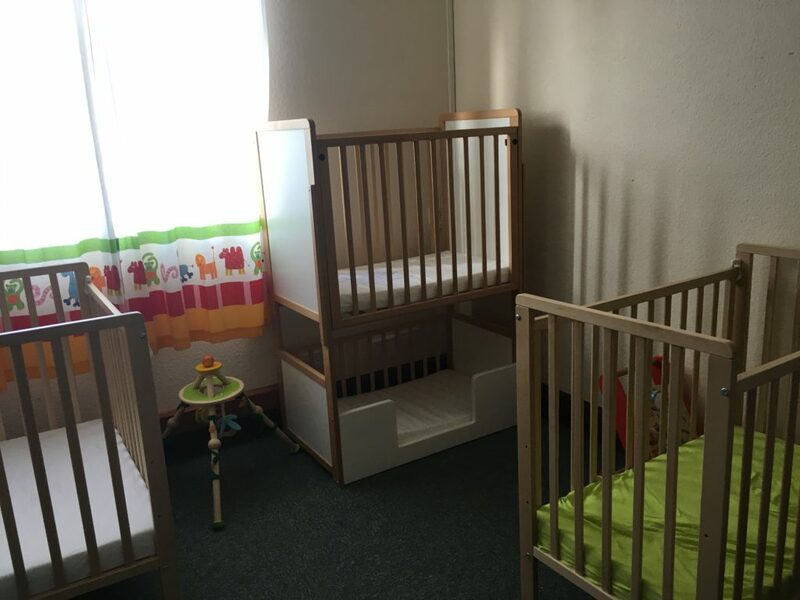 A room dedicated to the 0-2 year olds. It provides children with a safe and caring environment to learn, develop and grow. 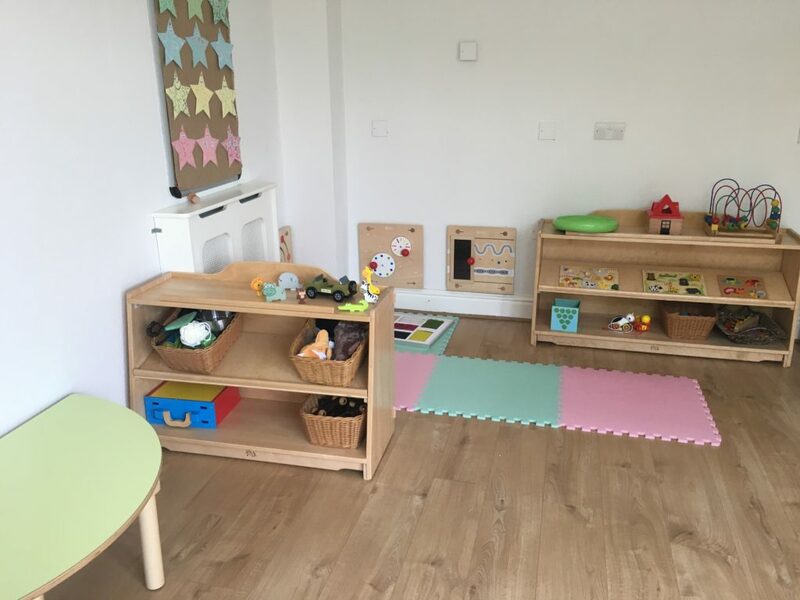 The room consists of a changing station, cushioned book area, play mats, creative area and a table and chairs for snacks and lunch time. Children also have access to our outside deck area. All our resources are suitable for age and stage of development, accessible to the children and promote all areas of the EYFS. There is a separate room for our nap time. A room dedicated to the 2-3 year olds. 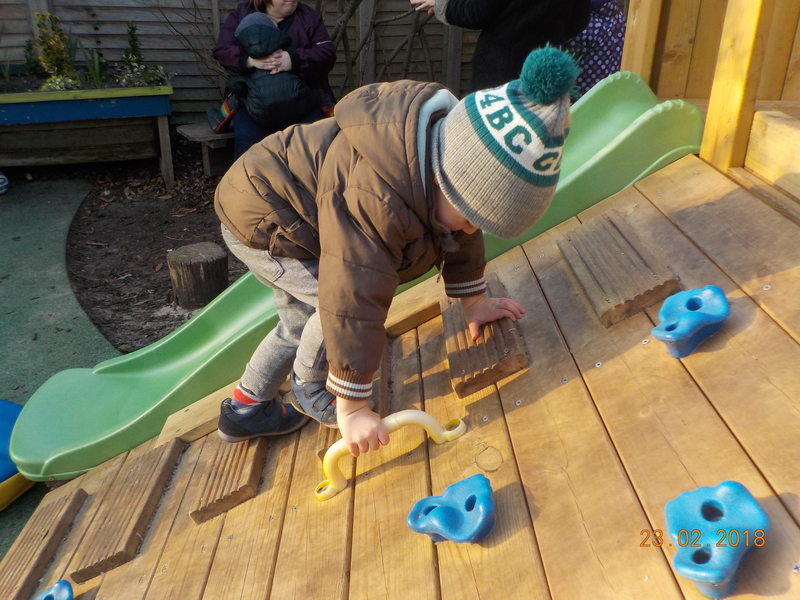 It provides children with a safe and caring environment where children begin to build positive relationships and develop their independence whilst their play is scaffolded and supported by adults. 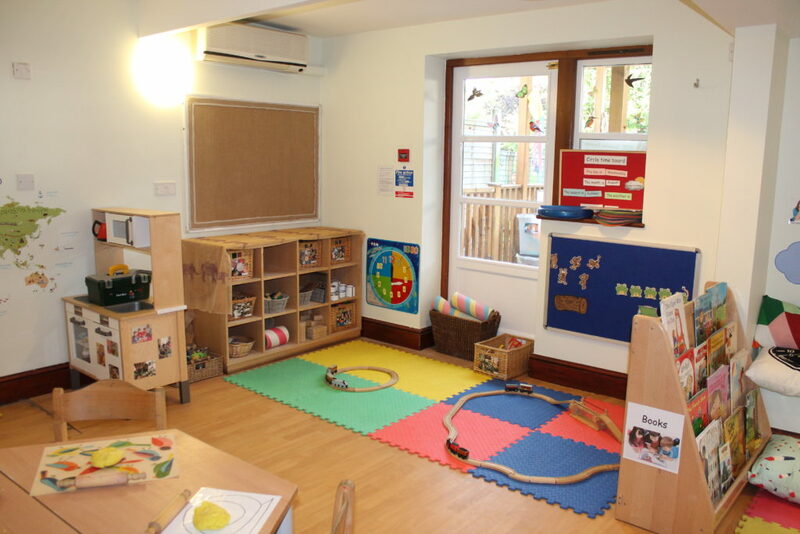 The room consists of a creative area, book corner, construction area, role play area and outside deck area. 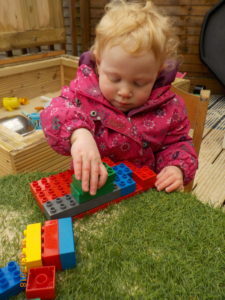 The Little Ark offers the important first steps for 2-3 year olds, providing opportunities for sharing, turn taking and being kind to one another through child led and adult led activities. 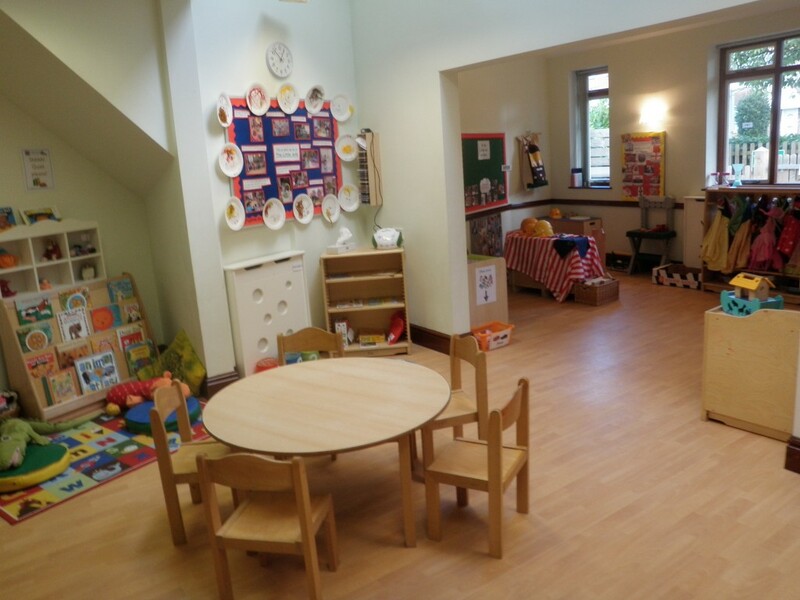 A room dedicated to 3-4 year olds, for the pre-school year prior to primary school entry. The children become familiar with our structured routine, which involves both child initiated and adult led activities, both fundamental for preparing the children for school life. 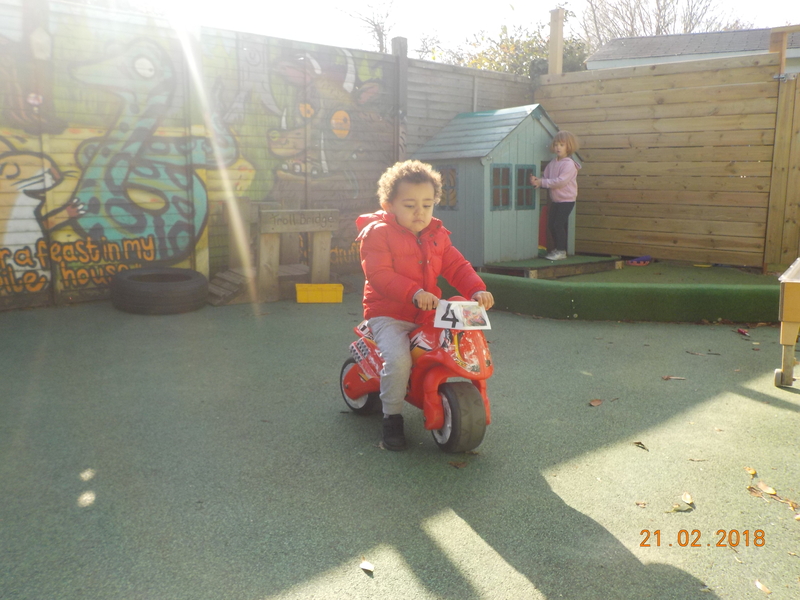 A variety of daily activities provide children with opportunities for developing their personal, social and emotional, communication and language and physical skills in preparation for ‘school readiness’. Our small group activities and circle times are daily opportunities for the children to learn and contribute in a smaller group. Small group and circle times provide a more structured time for learning and opportunities for shared sustained thinking. The Ark offers the very important stages to help children get ready for school and prepare them for their future learning and successes. 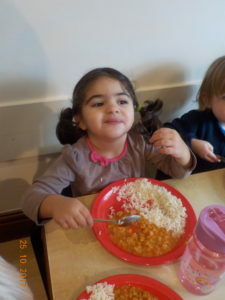 At Jack and Jill Pre-school we have our own dining room specifically for the children to enjoy their snacks and meals. Dedicated qualified dining room staff support and encourage the children to develop an awareness of good eating habits, make healthy food choices and try something new whilst developing their social skills. 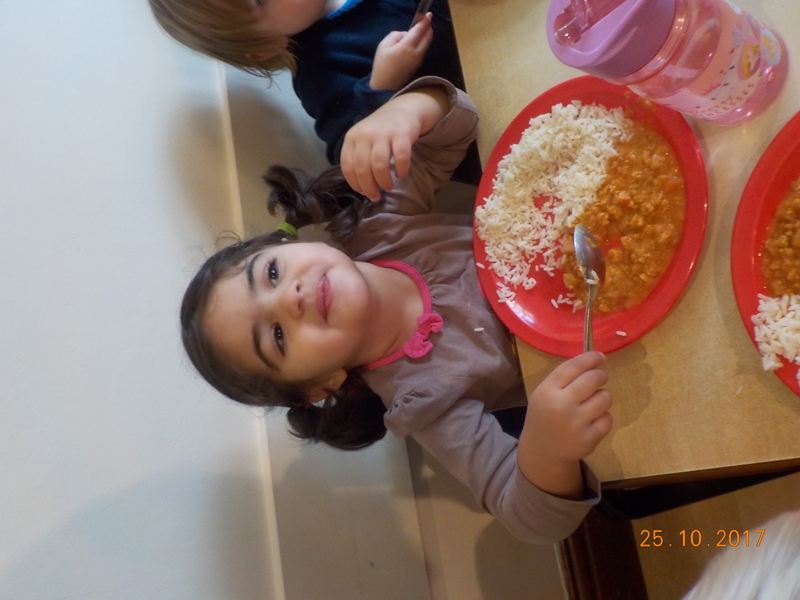 The Dining Room also provides a hygienic cooking area where the children can develop their culinary skills, exploring new tastes and textures. 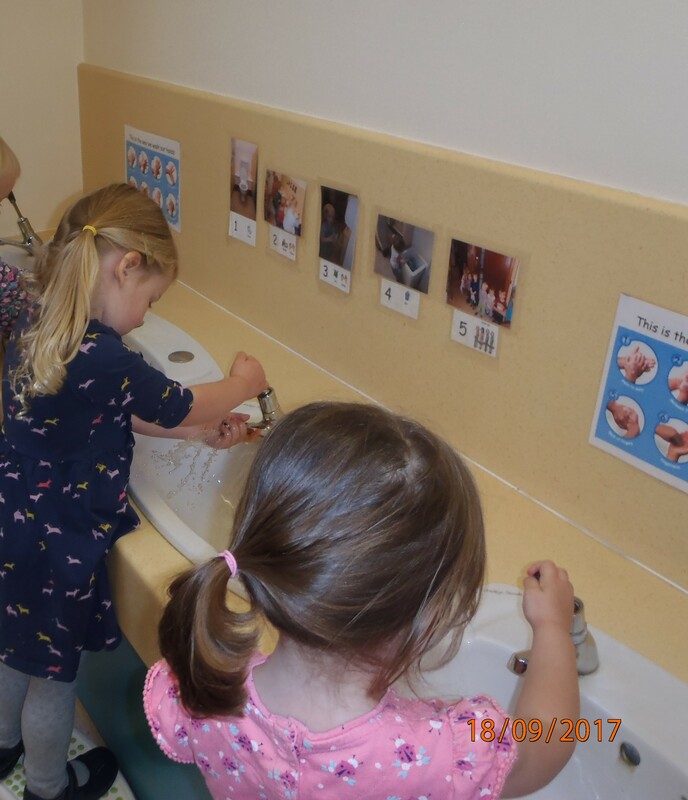 At Jack and Jill Pre-school we have purpose built toilet facilities that encourage the children to become independent by using the easy to turn on taps and lower level sinks and toilets. There is also a separate disabled toilet and nappy changing area. 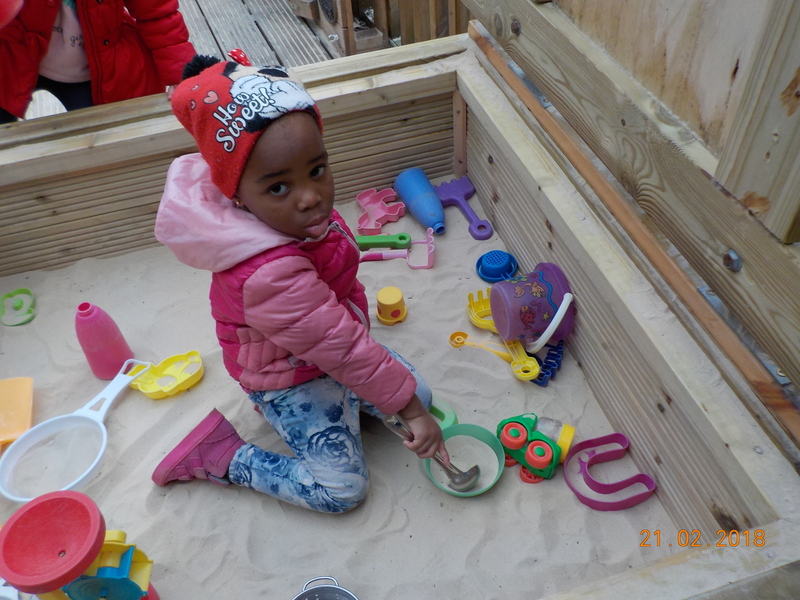 Our covered deck area enables the children to access outdoor activities freely in all weather conditions. 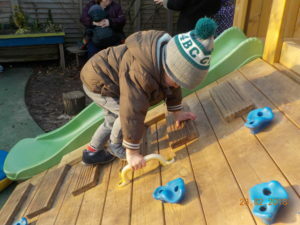 The garden area provides the children with a safe place to explore the outside world and enjoy outdoor activities that include the seven areas of learning.